•Safety considerations for navigating and exploring wrecks. •Surveying and mapping a wreck. •Using penetration lines and reels to guide exploration. •Techniques to avoid kicking up silt or disturbing the wreck and its inhabitants. 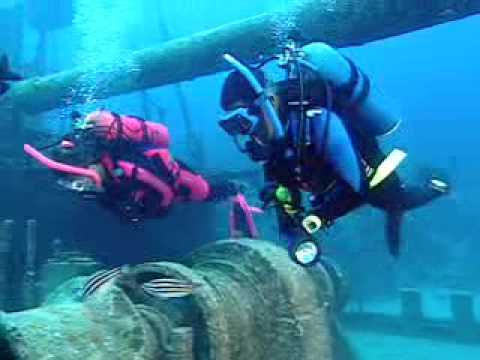 You may be able to get college credit for the Wreck Diver course – ask your MDC instructor. You’ll need your basic scuba equipment, plus a dive light to see into the wreck, a slate and underwater compass for mapping and navigation, and a line and reel for practicing wreck penetration. Your MDC PADI Instructor may suggest other gear appropriate for wreck diving in your area.